We can install concrete brick pavers to create luxurious outdoor living spaces for property owners in the Greenville area. Concrete Brick Pavers in Greenville – Whether you’re thinking about upgrading your driveway or walkway or you’re building a new home and need help with the outdoor space, we have the perfect solution. At Greenville Pavers, we can install concrete brick pavers to create luxurious outdoor living spaces for property owners in the Greenville, South Carolina area. Concrete brick pavers come with their own set of benefits over other materials and options. They are cheaper to install than poured asphalt or concrete, so they’re perfect for a property owner on a budget. You also won’t have to do much in terms of maintenance because concrete brick pavers are extremely durable and offer high resistance to weather conditions and changes. Concrete paving will shrink and expand slightly during the changing seasons, but pavers are less likely to crack than a concrete slab, so they’re stronger, as well. You also don’t have to stick with one type of paving, since concrete brick pavers come in all shapes, sizes, and styles. Instead of getting the same concrete slab that everyone else in the neighborhood has, you can opt for a unique design that offers depth and interest to your outdoor space. 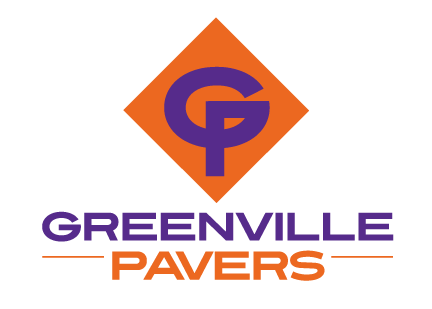 At Greenville Pavers, our team of industry professionals has more than 75 years of experience in both residential and commercial construction, so we know how to get the job done right. We also place a high value on visual appeal, so we take time and work carefully to make sure your finished project turns out exactly how you want it to look.